Updated 9/19/17 - Currently no job openings at Imagination Academy in Antioch, CA. 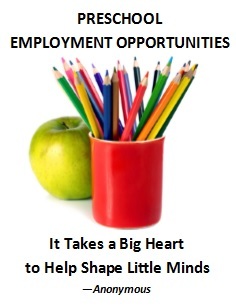 We are looking to hire one FT teacher with Montessori experience. ECE units and Montessori experience. Contact Sonna at (925) 754-6771 or info@imaginationacademy.org.